Rabbid Luigi is the most ingenuous of the Rabbid heroes. Easily scared, he will always avoid conflict given the choice. Despite this, he has very strong powers, even if he doesn’t really understand how to use them! He might not seem very menacing at first, but his great defensive and elemental skills make him the wizard every team needs. 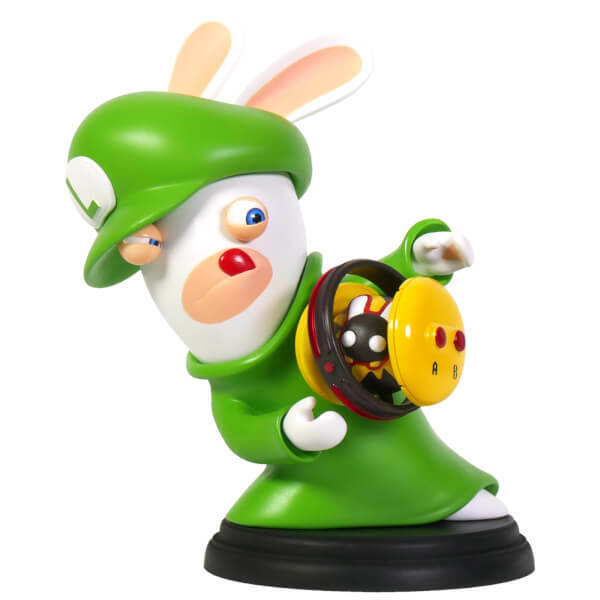 This 6 inch figurine shows Rabbid Luigi equipped with a magical weapon that he does not completely understand. Discover the Mario + Rabbid Kingdom Battle Figurines’ collection created by Ubicollectibles & directly inspired by 4 Rabbids teaming up with Mario and his friends. Their mission: restore the Mushroom Kingdom torn apart by a mysterious vortex. 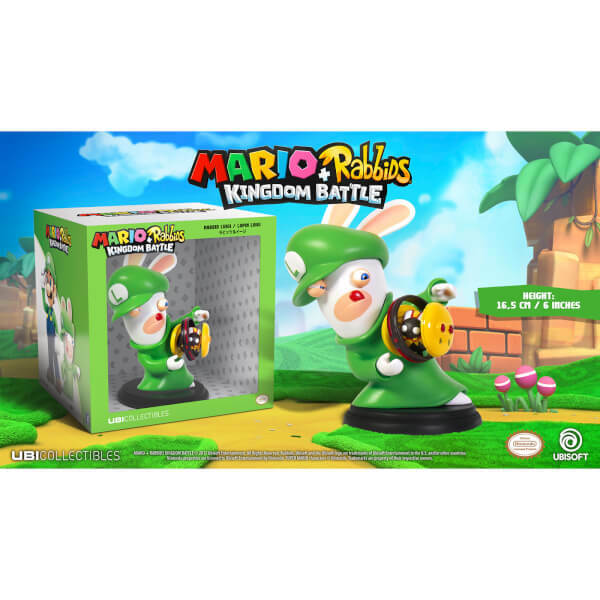 The figurine shows Rabbid Luigi equipped with a magical weapon that he does not completely understand. This figurine also exists in 3 inch scale (8 cm). Good quality toy however expensive as it is more of a decorative figure, display!